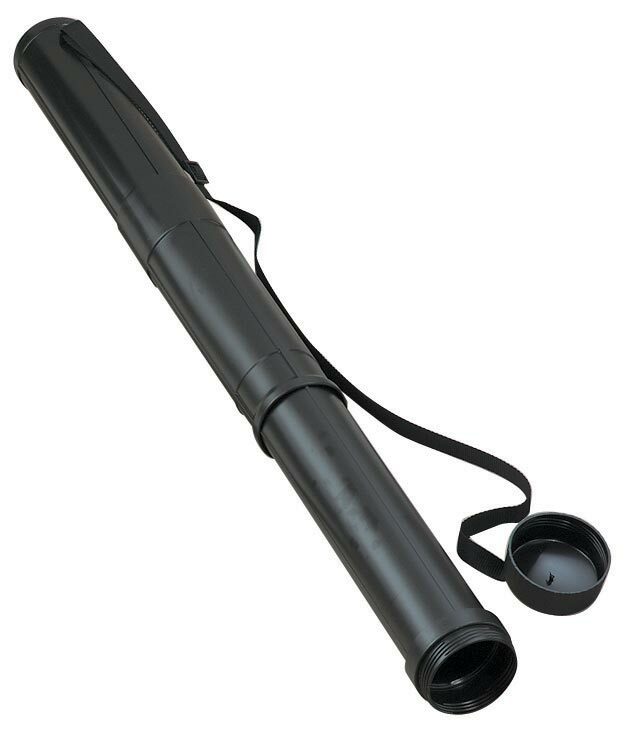 These telescoping tubes adjust in length from 27" to 50" with a 3" inside diameter. Friction lock adjusts for desired lengths. Made of durable black plastic, tube is water-resistant. Features twist-off screw cap and removable, adjustable shoulder strap.